With a stay at Kleiner Rosengarten in Mannheim (Mannheim City Centre), you'll be within a 15-minute drive of SAP Arena and Nationaltheater Mannheim. 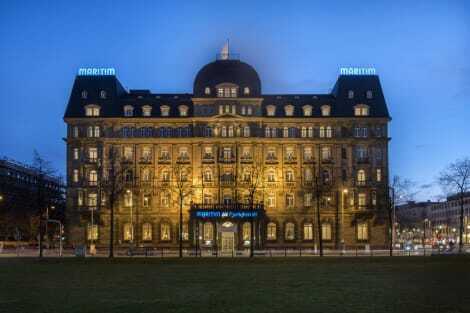 This 4-star hotel is 13.8 mi (22.2 km) from Heidelberg Castle and 14.3 mi (23.1 km) from Hockenheim Racing Track. Take in the views from a terrace and a garden and make use of amenities such as complimentary wireless Internet access. This hotel also features a television in a common area, tour/ticket assistance, and discounted use of a nearby fitness facility. 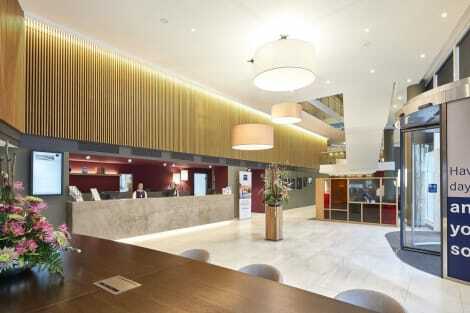 The modern Leonardo Hotel Mannheim City Center offers stylish accommodation in the heart of Mannheim, located within walking distance of the Planken shopping area and the main train station. Start your day refreshed with the extensive buffet breakfast, unwind in the sauna, take a dip in the indoor rooftop pool and enjoy a bite to eat or drink on the outdoor terrace. Each room features free Wi-Fi, HD flat-screen TV, tea and coffee maker and en suite bathroom stocked with Sea of Spa products. 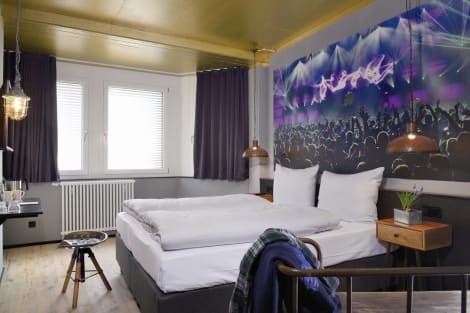 With a stay at Dorint Kongresshotel Mannheim, you'll be centrally located in Mannheim, within a 15-minute drive of SAP Arena and Friedrichsplatz. 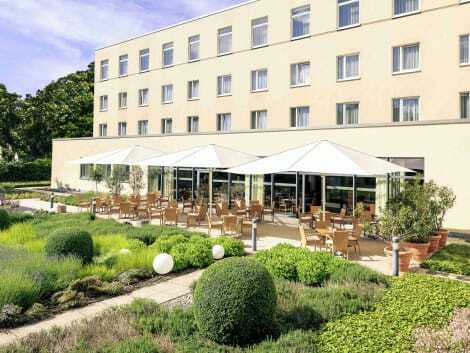 This 4-star hotel is 13.5 mi (21.8 km) from Heidelberg Castle and 14.1 mi (22.7 km) from Hockenheim Racing Track. Take advantage of recreation opportunities such as a 24-hour fitness center, or other amenities including complimentary wireless Internet access and a ballroom. Enjoy a range of recreational amenities, including an indoor pool, a sauna, and a fitness center. Additional features at this hotel include complimentary wireless Internet access, concierge services, and wedding services. lastminute.com has a fantastic range of hotels in Mannheim, with everything from cheap hotels to luxurious five star accommodation available. We like to live up to our last minute name so remember you can book any one of our excellent Mannheim hotels up until midnight and stay the same night.